The Carnival of the Ascended is an annual World Event that celebrates RIFT’s anniversary from back on Feb 26th 2011 (pre-launch, official is March 1st 2011) with various Carnival games and associated Carnival goods. A whole plethora of mounts, essences, costumes, pets, disguises and titles are available to be purchased with event currency – Auroral Doubloons, Glass Beads and Prize Tickets! The Carnival of the Ascended 2015 celebrates RIFT’s 4th anniversary. This year the event lasts for three weeks from 26th February to 19th March 2015. The Carnival of the Ascended celebrates Rift’s Anniversary and the Ascended’s past achievements in conquering the false Dragon Gods. 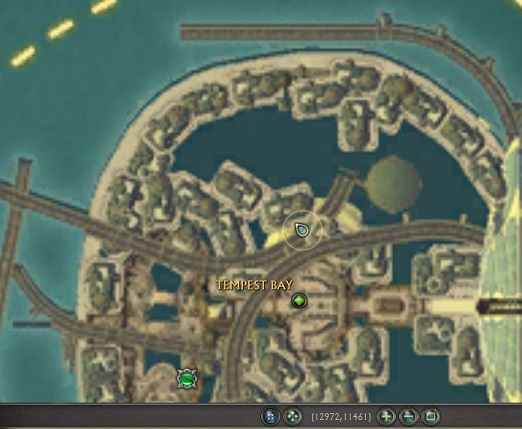 Telarans have set up a variety of Carnival Games in the major cities and Dragon Pinatas spawn throughout all Mathosia/Storm Legion zones with a chance at past world event items. Each week will award Auroral Doubloons that you can use to purchase some of the old Carnival mounts. You can find the vast majority of Carnival goods from the RIFT Store -> World Event section. Note: Only 3 Doubloons will be available this year via weekly quest; one per week. 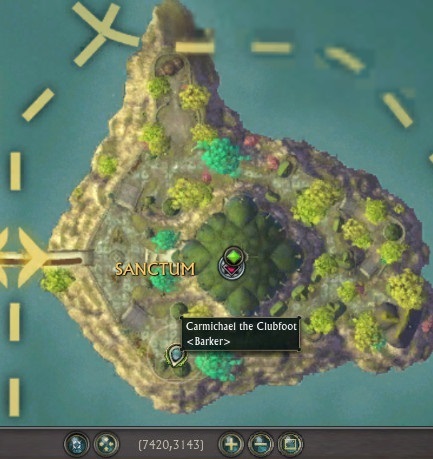 [r] However, you can obtain Doubloons as a chance drop from the Pinata boss in Goboro Reef Instant Adventures during this World Event, and as a drop from 6-star 10hr Carnival Promotional minion adventures. New Store Items: Carousal Ram Mount, Carnival Masks, Weapons, Pets, 4th Anniversary Cape and 4th Birthday Cake. There’s also new Dimension ‘Bubble’ items. New Quest: John Tintan in the Carnival hubs at Sanctum (7402, 3097) and Meridian (6171, 5194) has three turn-in dailies for NT mats. 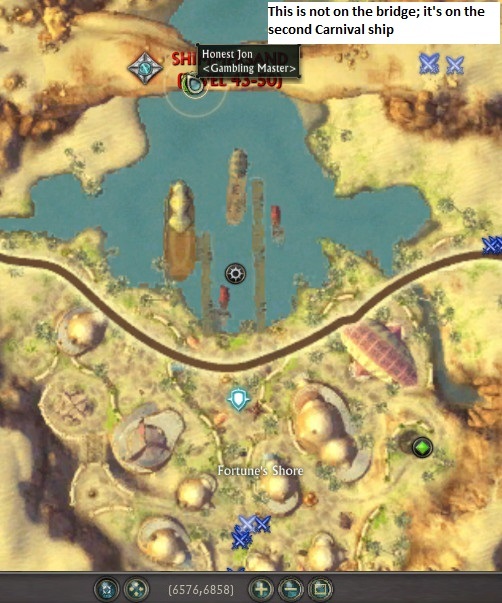 New Quest: Sijay Creg in the Carnival hubs at Sanctum (7420, 3146) and Meridian (6178, 5210) has new daily to complete 5x Instant Adventures. Goboro Reef IA. Goboro Reef Instant Adventure bosses now drop Pinata Prize Bags. Each bag gives random loot from past World Events, including pets, masks, food, event currency (several Prize Tickets or Glass Beads) and even past mounts! There’s a whole plethora of Store Items introduced with the Carnival of the Ascended – both old and new alike. I’ll only be going over the new items for 2015. You can refer to the 2014 guide for older store items. All Carnival goods can be found under RIFT Store -> World Event. The Carousel Ram Mount is a new mount that you can obtain as a rare chance drop from the Limited Edition: Twisted Carousel Ram Trove. This lockbox is available in the RIFT Store -> Chests & Keys section for 700 Credits (630 for Patrons). Percy Quackerton, Calypso and Tinkerton are the new companion pets for Carnival 2015. You can obtain them under RIFT Store -> World Event for either 475 Prize Tickets or 600 Credits (540 for Patrons) each. Each Carnival seems to bring in a set of new Carnival masks, and this year is no different. A variety of new Carnival masks and weapon costumes available on the RIFT Store -> World Event. They cost Prize Tickets or Credits each. Fourth Anniversary Cape with Comparison. The Fourth Anniversary Cape is up! In an on-going tradition, RIFT adds a new anniversary cape for each anniversary. Above you can check out a comparison between the 2nd, 3rd and 4th anniversary capes. The Fourth Anniversary Cape costs 300 Prize Tickets or 450 Credits (405 for Patrons). You cannot obtain previous years’ capes from the RIFT Store. In another tradition for RIFT, a new Birthday Cake is available on the RIFT Store -> World Event. Again though, you cannot obtain previous years’ cakes anymore. There are new Level 65 Essences for Carnival 2015 that cost either 1,536 Glass Beads and 12k Planarite, or 1,280 Credits (1,152 for Patrons). 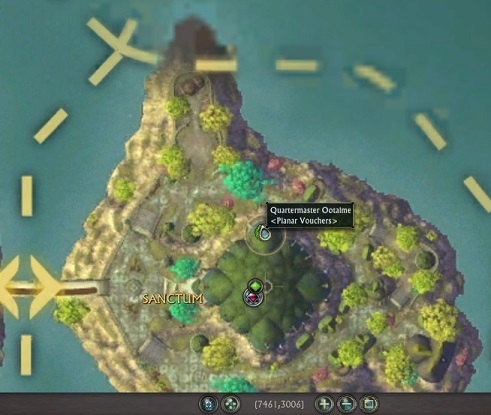 The essences were upgraded as of RIFT 3.1 Hotfix #6, as per the above image. Each class’ Level 65 essence uses the same stats, just replacing WIS/INT or STR/DEX with their main stat. New in 2015 for dimensioneers are various planar ‘Bubble’ items that are literally giant bubbles in certain colors. Check out The Dimension Touring Company’s article which shows previews of the new bubble items here. 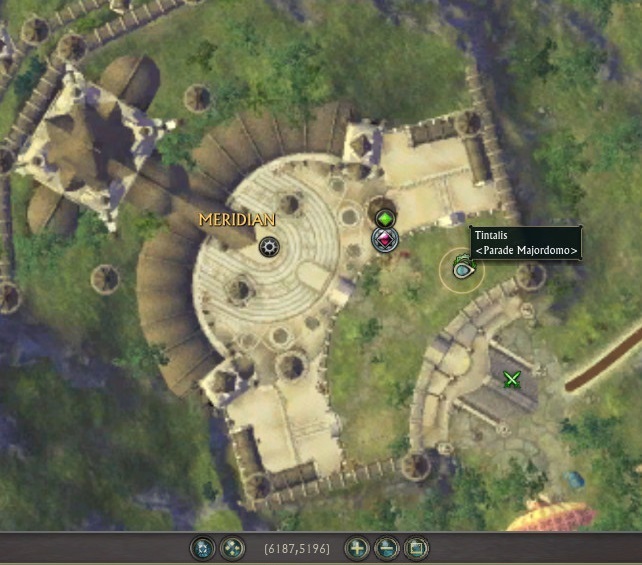 There are currency exchange vendors in Sanctum and Meridian. 1 Pyrite Doubloon for 1 Auroral Doubloon. 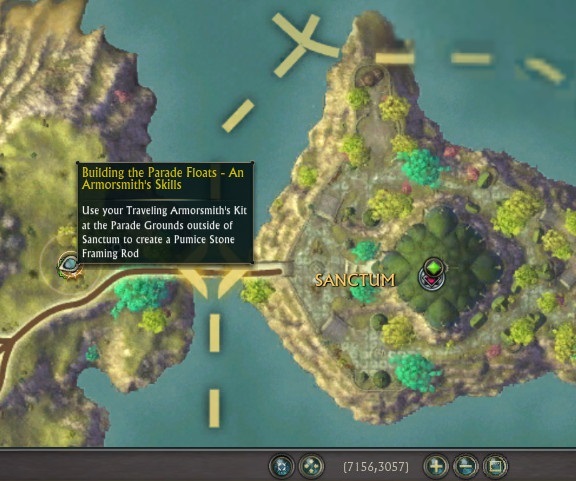 Note: The Pyrite Doubloons were the limited currency for the 2012 Carnival of the Ascended. The limited currency has been the Auroral Doubloon ever since. Thus if you weren’t here back in 2012 and don’t have any Pyrite Doubloons lying around, the “Pyrite-to-Auroral Doubloon” conversion is irrelevant to you. Doing Goboro Reef Instant Adventures, you’ll eventually get to a Pinata ‘boss’! The boss will drop a Pinata Prize Bag which contains a random chance at past World Event pets, costumes, prize tickets, glass beads and even mounts! (saw someone get a Tindrel mount). Prize Ticket values can be 40+. Seen some players loot 66. And here’s some examples. Note that each ‘box’ is a separate person’s loot from the Pinata Prize Bag. 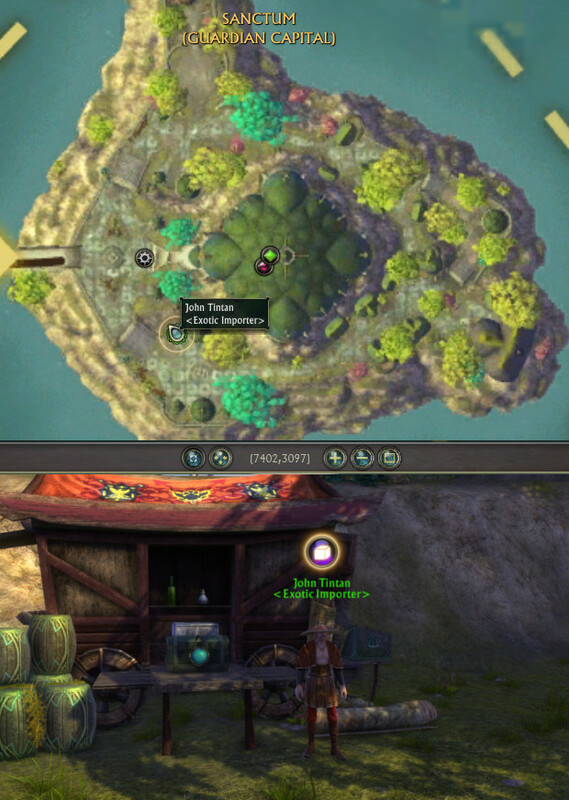 As you can see, they’ve got Carnival foods, companion pets, Masks, Prize Ticket currency, Glass Beads currency and even a mount (in this case, Tindrel)! The Prize Ticket amount is nice (approx. 60-70), but you’ll also have to consider how long it takes to complete Goboro Reef IAs. It does go well with the 5x Instant Adventure daily quest obtained from Sijay Creg (more info in the Games/Quests Guide below) and with the 30x Instant Adventure weekly quest obtained from Flargle Plaza in Draumheim. Note: This particular Pinata is different from the other Dragon Pinatas that you can find throughout Mathosia/Storm Legion zones as multi-colored balloon icons on the main map. Those require that you mentor down and will provide a random chance at old World Event loot and/or Glass Beads currency. There’s new 10hr Promo Adventures for Minions specific to the Carnival of the Ascended. Thus far information seems to suggest that obtaining a 6-star rating on the adventure will get you an Auroral Doubloon. Loot: Some loot that’s been seen from the adventures include Carnival weapon costume, Carnival food, world event companion pets, Glass bead currency and an Auroral Doubloon. 6-star rated 10hr Carnival adventures will drop Limited Edition: Twisted Carousel Ram Troves which have a rare chance of dropping the Twisted Carousel Ram mount. Just make sure to note that 10hr minion adventures generally have a 60min cooldown before they are added back to a random position in the 10hr adventure deck. Phase 1 starts on the 26th Feb 2015 and ends on the 5th March 2015. Some new ‘Planar Imports’ quests are now available for turning in Nightmare Tide craft materials. 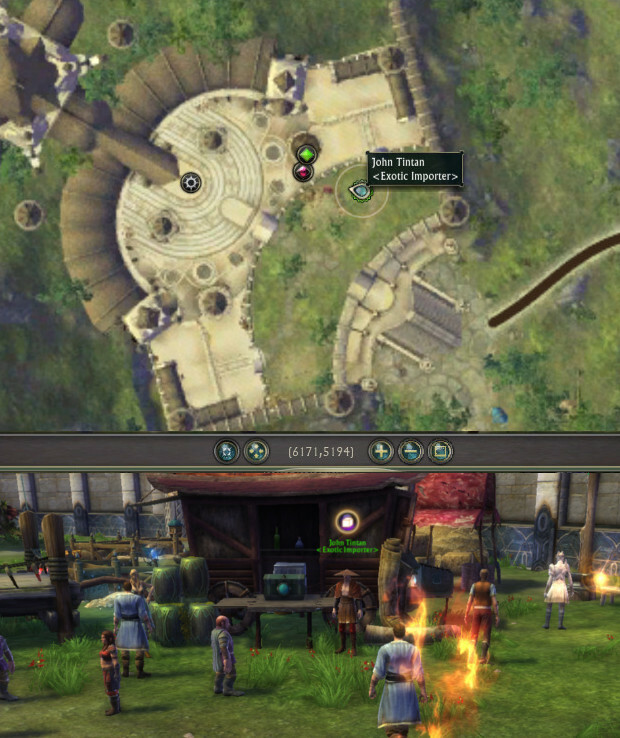 You can find John Tintan in Sanctum (7402, 3097) and Meridian (6171, 5194). 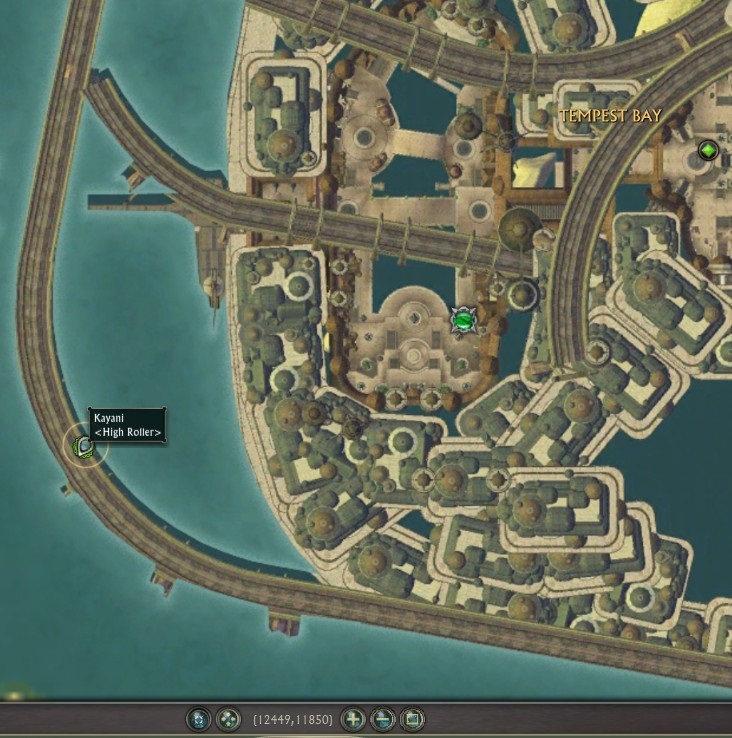 Planar Imports – Exotic Luxuries: Collect 10x Thalasite Crystals and 20x Sarfiber Flakewood. Planar Imports – Wondrous Materials: Collect 10x Diaphanous Cloth and 15x Fabled Leather. Planar Imports – Strange Delicacies: Collect 15x Brisket, 15x Merphos and 15x Zirthan Dreamleeches. Reward: Each turn-in rewards 15x Glass Beads. 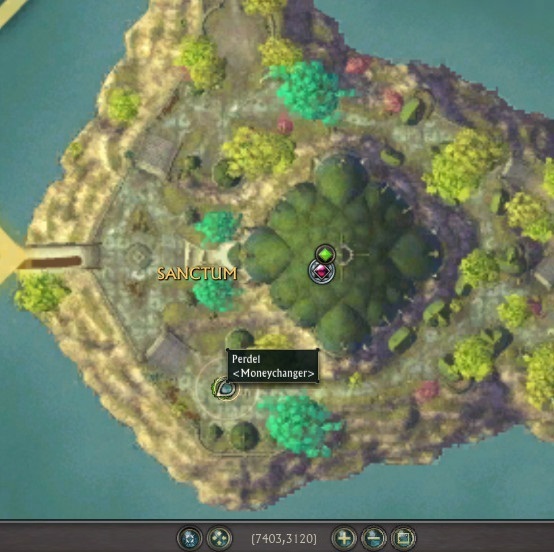 These items can be collected with gathering professions such as Fishing, Foraging, Butchering and Mining in the Plane of Water zones: Goboro Reef, Draumheim and Tarken Glacier. Adventures of the Rich and Famous! is a new daily quest for 2015 found in Silverwood/Meridian. 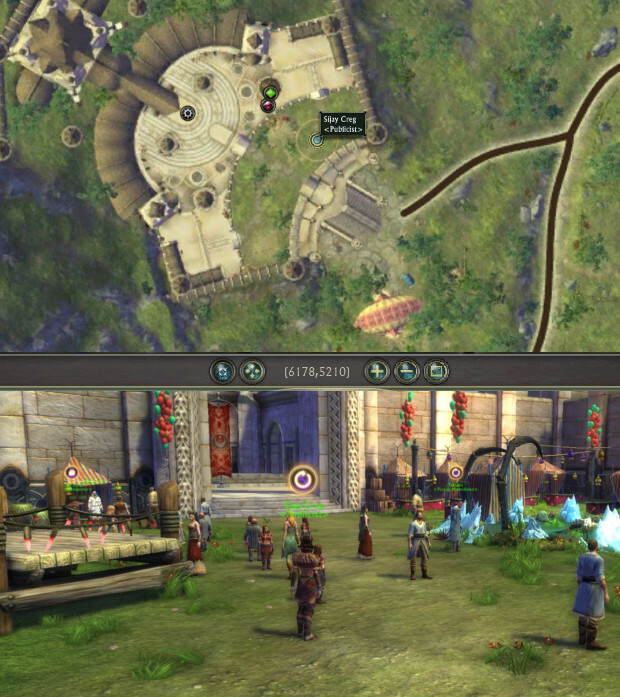 The quest is obtained from Sijay Creg <Publicist> at Sanctum (7420, 3146) and Meridian (6178, 5210). To access Instant Adventures, go to your Instant Adventure window (default key “.“) or find your mini menu bar on your screen, click on the ‘play’ (Activities) button and choose Instant Adventure from the drop-down menu. 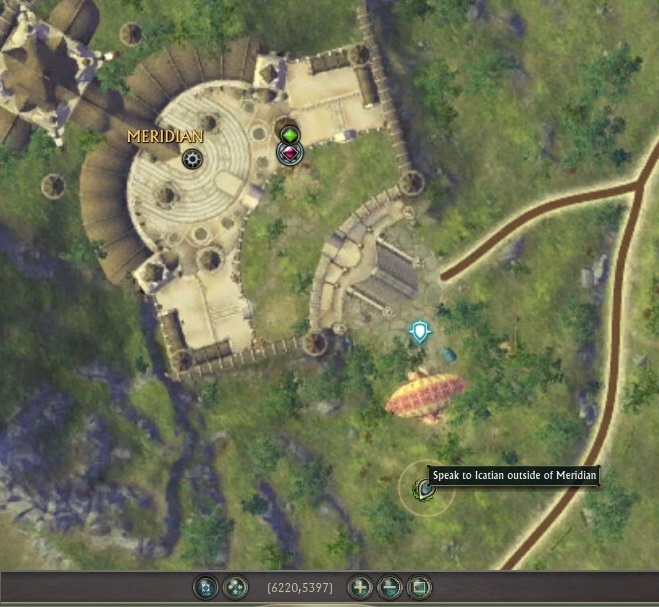 After completing 5 IAs, you will need to stand on the platform next to Sijay Creg. Once on it, you’ll get a reactive “Open Mic”. Use it to complete the quest. 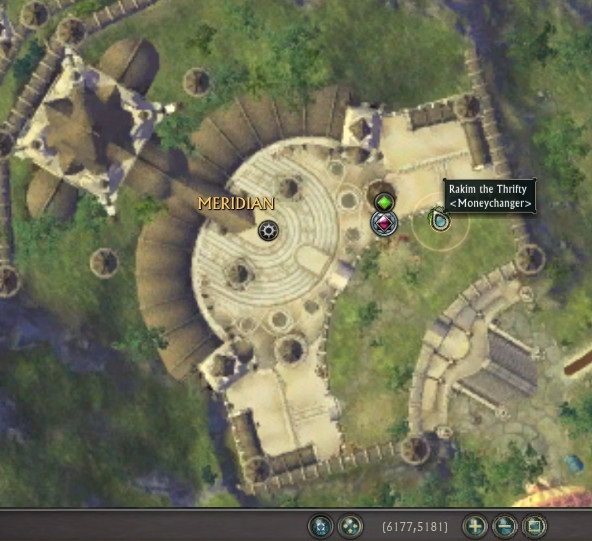 Tales of the Ascended is a Daily quest located in Shimmersand. The quest is obtained from Dantwor Honey-Tongue <Barker> who is located in front of the Carnival ferries at (6644, 6864). 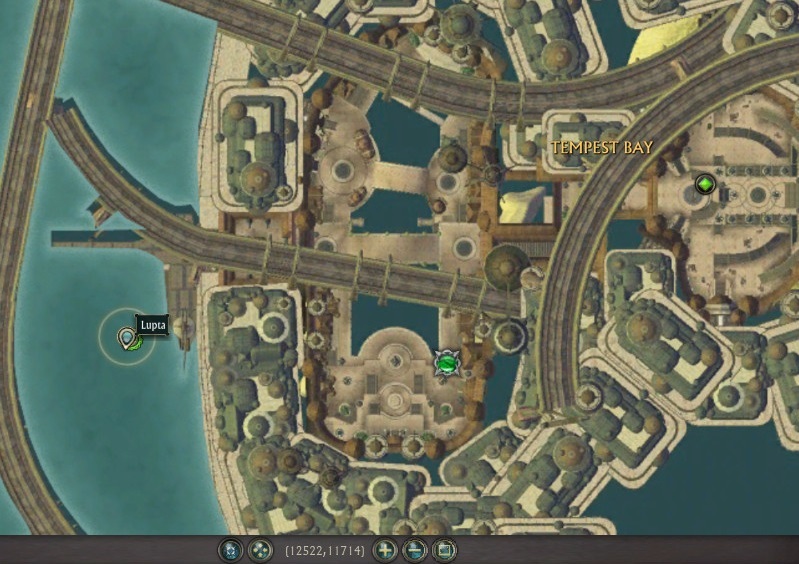 He is also located in front of the Carnival ferries at (12474, 11788) in Tempest Bay. Phase 2 starts on 5th March 2015 at 3:30PM Server Time and ends 19th March 2015 at 3:30PM Server Time. The quest involves completing 50 carnival games. 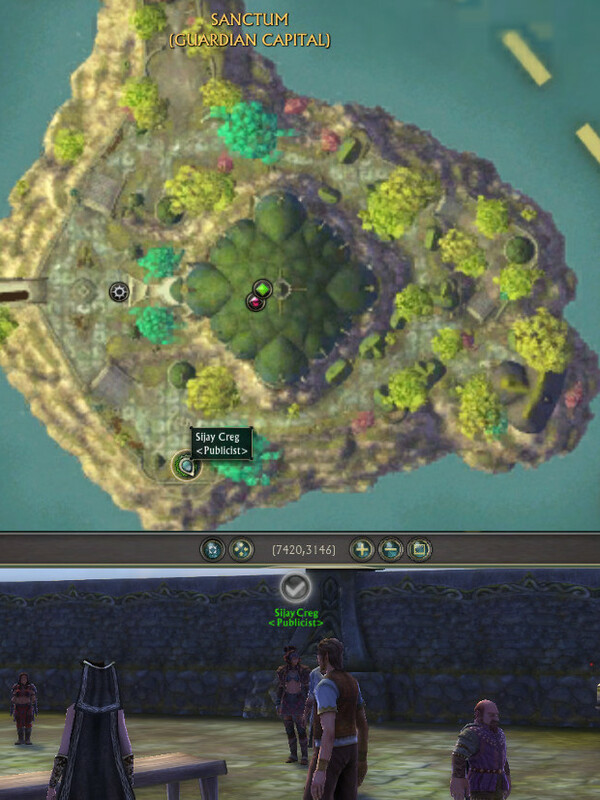 This quest includes group contribution. There will also be another quest in the 3rd week that will include a doubloon. Reward: 1x Auroral Doubloon (per week, 2 weeks of Phase 2) and a Carnival Celebration Crate. 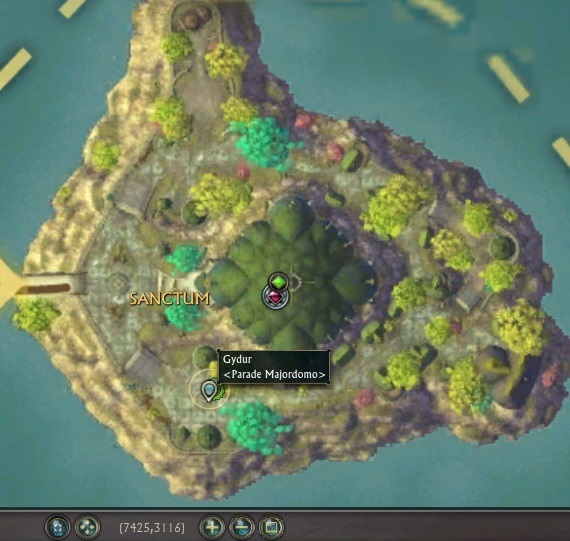 Guide: Carnival Strategies & Tips (Note, the main section of relevance is the strats on the Spider Knight Mount – the rest, such as talking about Essences, are from 2014). Bust open Dragon Pinatas placed around Telara. These spawn in all Mathosia and Storm Legion zones. 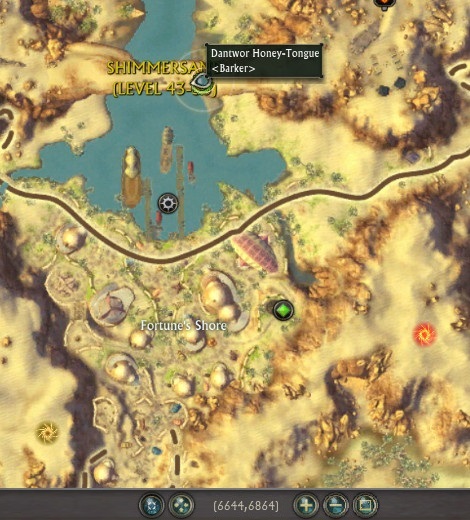 These appear as icons on the map that look like three multi-colored balloons. The Pinatas themselves vary based on the various Dragons. You will need to mentor down to around their level (their level cannot be a ‘gray’ color which means you are too high level for it) in order to get full rewards. Each Pinata has a random chance of dropping old World Event loot and Glass Beads event currency. Back in 2013 the Carnival of the Ascended had a special warfront “Codex: Wheel of Fate”. 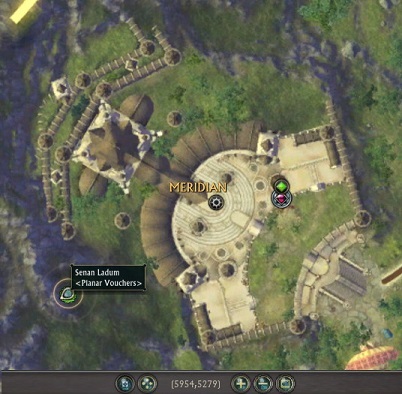 If you are wondering where these achieves or the warfront are, they were removed back in 2014. The achieves relating to the Codex: Wheel of Fate Warfront are now legacy and you won’t be able to view them unless you already completed the achievements beforehand. They can be found under Achievements -> Legacy. 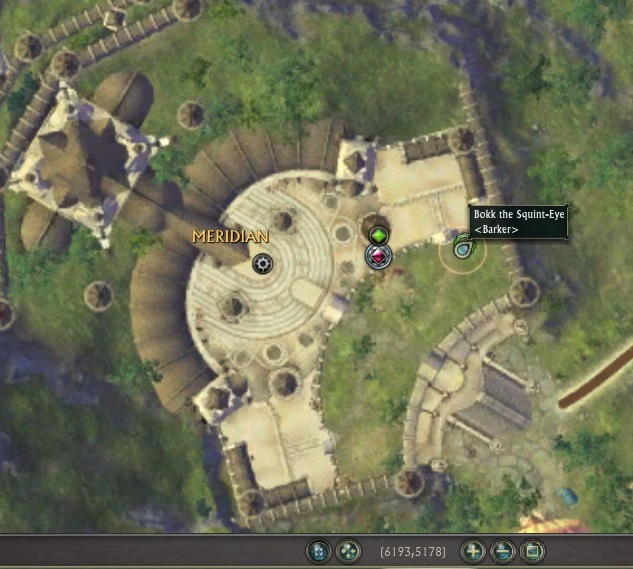 Hope this Carnival of the Ascended Guide has helped you out! Happy Rift 4th Anniversary! The only quest I recall getting from Bokk is “Clean House at the Carnival”. I definitely don’t have any cake. They are dropping but only if you’re below a certain level, apparently. I was getting stuff in Freemarch at level 36, not mentored down. Another person who was 45 said they were getting them but folks who were 60+ said they weren’t except for maybe one person who said they got some while grouped with a lower-level. For Carouse at the Carnival, have you finished the 50x Carnival Games quest? The quest might not show up until next daily reset. Or perhaps they removed it entirely. I’ll edit it out of the guide for now. Thanks for the info! As for the gathering turn-in bug, Tacitus later responded that it’s a bug for players with gathering professions above 375 skill level. Will be fixed next week. I didn’t finish the 50 last night due to illness so I’ll do that today and see if the other quest shows up at any point and update. The building the parade float runecrafting quest to change Traveling [Craft] Kits into ingredients doesn’t require 5 helium blossoms but instead 5 Flickering Powders. Thanks for the info Janni! Looks like they changed that this year. Is your Butchering above 375 skill level? 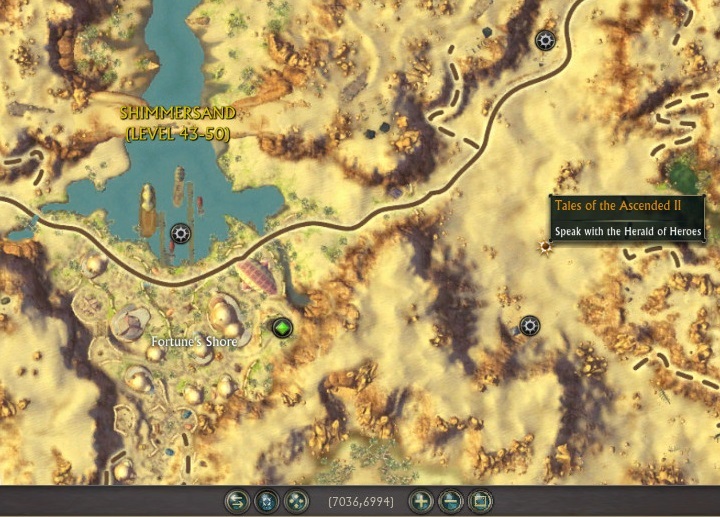 There’s currently a bug where those with 375+ skill level can’t get the item/s. You can still get them from the AH though. If I buy Aurora mount with tokens, can I give it to someone over inbox or trade? What does it say when you buy a mount, binds to account or bound to account already? I only had to eat three different items from the list to get this achievement last night. There’s a second achievement that does require you to eat one of each. Oh, I see what it is, the Antacids achievement is the first tier and then the second tier, Are You Really Going to Eat That?, is the one that requires you to eat all of the foods and the foods you ate in the first tier are counted for the second. Unfortunately, some of the foods are level-gated so I have to wait a few more levels to finish. I wonder why the mounts are bound to account, but the essences are soulbound. The top of the guide saying ‘only 3 doubloons’ will be available should mention chests also. The essences being soulbound was strange to me as well, especially since these items are usually bound on account during other annual world events. Thanks for the info on the 3-doubloons! Sometimes lengthy guides end up getting outdated as new info pops up so I can miss stuff like that. I’ve updated that portion with the information on the Pinata boss IAs in GR and 6-star 10hr Carnival promos.